Maker Faire Rochester is far from Mini anymore. Rochester, NY - Medieval trumpets with a flame twist, a robot aquarium from Italy swimming next to the Genesee River, and a half scale version of the lunar lander that someone made in their backyard in Downtown Rochester? Yes! 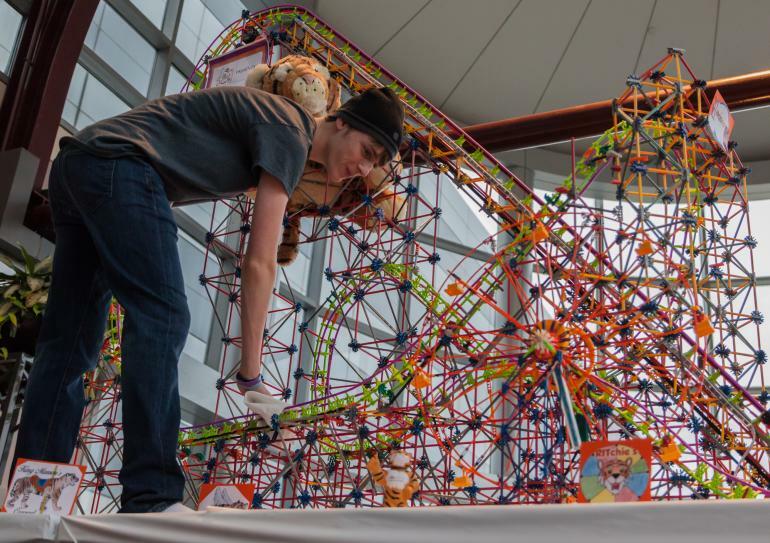 Maker Faire Rochester is returning for its 5th year and is celebrating their first year as a full Featured Maker Faire on November 17th at the Rochester Riverside Convention Center. As a full Featured Maker Faire, Rochester is advertised as global leader in the maker movement. 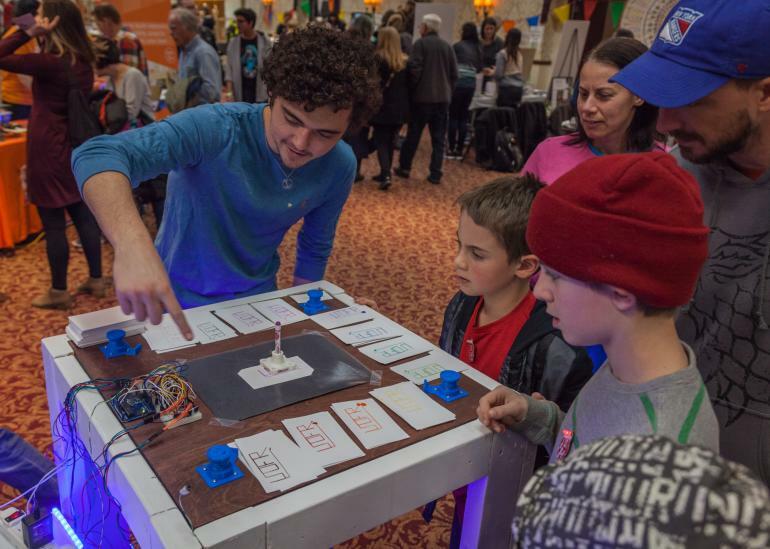 There are only a dozen Featured Maker Faires within the US, and thirty worldwide. This celebration of the DIY spirit and creativity in the heart of Downtown Rochester is a full-on community festival with attractions, exhibits, demonstrations, and performances showcasing the intersection of science, technology, arts, and crafts -- many of them immersive and interactive. First time visitors to the faire will be inspired by the creativity and ingenuity of the Maker Movement – a celebration that is part show and tell, science fair, craft fair, and carnival. Those who have already been to Maker Faire will be delighted to see both familiar and new Makers -- over 30% of the exhibits this year are newcomers to the Maker Faire. Premiering at the faire this year will be The Royal Trumpets, one of Rochester’s first local kinetic fire sculptures, will be making its first hometown appearances. These trumpets stand at 17 feet tall when fully upright, and can blast out a 10 foot fireball into the air! In addition, you’ll see a couch that you can ride as it drives around the faire, over a dozen games developed across Western New York, a giant balloon mural that you can help create, several robot petting zoos, a full size TARDIS and Hobbit home that you can enter, a sand mandala demonstration, a pop up shelter design built by students, loads of textiles, and much more. More than 145 Makers will be coming together at Maker Faire Rochester. New this year, the Inaugural Student S.T.E.A.M. Fest will be held the Friday before the faire, November 16th, to give over 1,000 students from across Western New York a chance to experience the event. This year Maker Faire Rochester celebrates its 5th event. Since its start in 2014, the faire has grown from 1,500 visitors and 90 makers mostly from around Western New York, to over 3,500 attendees and 145 makers from all over New York State, Vermont, Ohio, North Carolina, Maryland, Canada, Italy, and Korea. Maker Faires can be found all over the world. In 2017, over 200 Maker Faires were held around the globe.